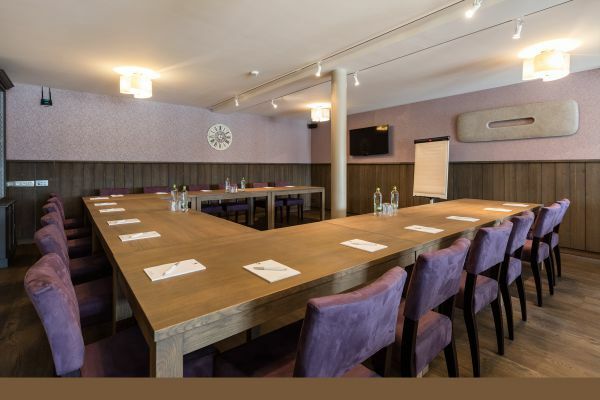 Hotel - La Grande Cure disposes of a meeting room with day-light, for a maximum of 20 persons. All equipment is available. Obviously we will serve you coffee breaks, lunch and dinner. The combination with an activity (teambuilding), a walk in the beautifull surroundings or a round of golf, makes your seminar a succes. After having listened to your programm and wishes for your stay, we will make sure to organise it all. You just need to concentrate at achieving your goals and objectives and to enjoy your stay.